E-M1: The whole package. In a perfectly-sized package. The new E-M1 gives you more freedom to take the shots you want, with all the image quality you expect. The new E-M1 is the most advanced compact system camera ever produced. 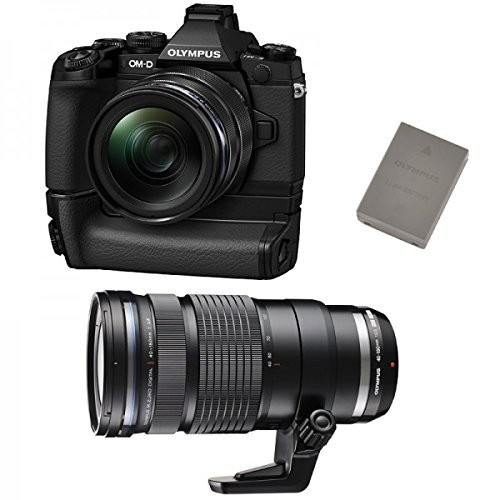 It is based on the Micro Four Thirds standard and comes packed with sophisticated technologies like the enhanced Live MOS sensor and TruePic VII image processor, the world premiere of DUAL FAST AF and extended WiFi controls from your smartphone – all delivering outstanding image quality and performance, raising the OM-D series to a whole new level. This superiority is matched by a body design that has the perfect dimensions with a portable weight. All things considered, it outperforms D-SLR cameras both in terms of its size and imaging excellence. 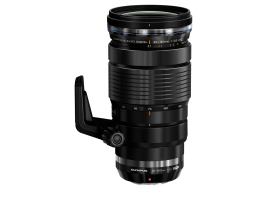 The compact system camera with the world’s most advanced lens line-up. 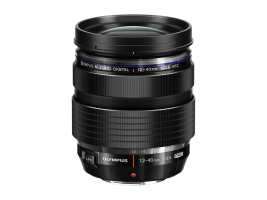 OM-D that includes all Micro Four Thirds lenses and now all Four Thirds lenses on top*. It is not just the sheer number of lenses that’s impressive though. The E-M1 also brings out the best in each lens by applying DUAL FAST AF with the addition of Phase Detection AF to complement Contrast AF for extremely fast and incredible visual capture. * MMF-3 adapter required to use Four Third lenses. The new E-M1 is bursting with sophisticated technologies you can rely on. 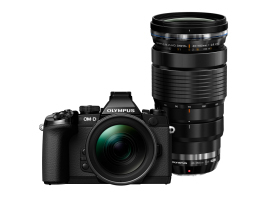 We’ve optimised first-class OM-D technologies to make sure the new E-M1 is exceptionally reliable – for performance and image quality you can always depend on. Imaging excellence has been taken up a notch – for the vivid results you expect. WiFi capabilities have been extended to give you more creative control than ever from your smartphone. We’ve honed the precision of one of the fastest autofocus systems on the market and made the world’s most advanced 5-axis image stabilisation more intelligent – ensuring that every photo and film you shoot is as sharp as possible. And the Electronic Viewfinder now gives you a bigger view and more creative options – for greater overall shooting accuracy. Image quality. Brilliant in every sense. E-M1 with a new-generation Live MOS image sensor and TruePic VII image processor. The really special thing about this sensor and processor is that they adapt precisely to the specific lens and aperture you’re using – for spectacularly sharp photos and videos with true-to-life vibrancy, plus dramatically reduced chromatic aberration that comes with magnification.